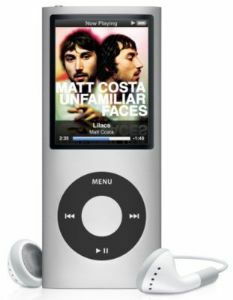 The iPod nano 5th generation is music player that stores music, videos, podcasts, audiobooks, photos and games as well. This 8GB Apple iPod silver compromises on nothing and makes space for 1,750 songs or 10 hours of videos. 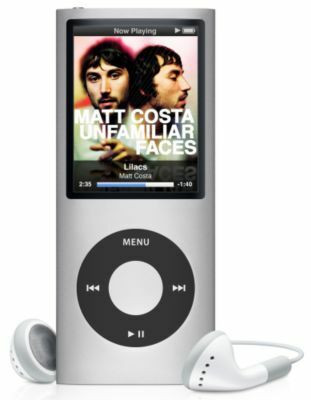 You can record or even pause live radio with the Live Pause feature of this Apple MP3 player. Stop spending hours mixing and matching songs, the Genius Mixes in this 8GB Apple iPod silver does the job and that too meticulously. Grade 3 - Reasonably good condition, will have scratches and/or possible dents. A three month warranty is issued as standard on all refurbished iPod Nanos. For further information, please visit the Warranty Pages.